This post is in partnership with Better Homes & Gardens and Walmart. All opinions and ideas, as always, are our very own. My latest shopping trip to Walmart ended up being a cart full of CUTE! 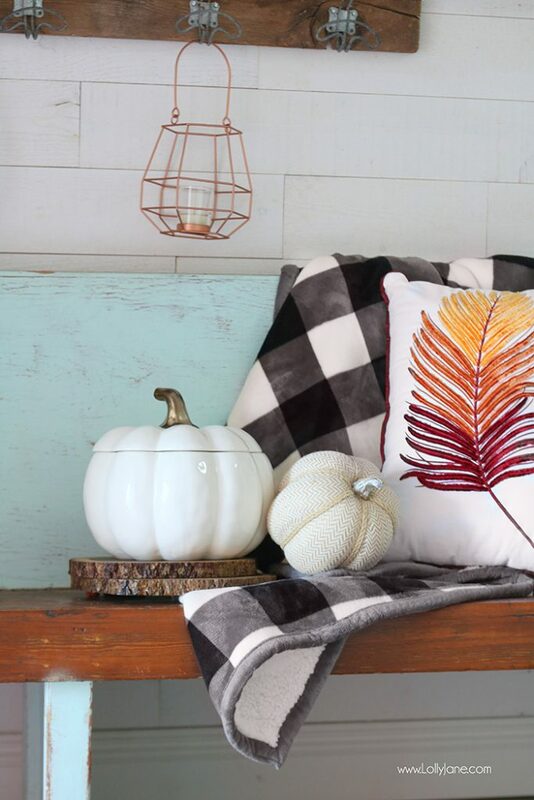 From the feather pillows to the buffalo check throw, to the brass lanterns and ceramic pumpkins… I am ready for my family to gather and enjoy the season! 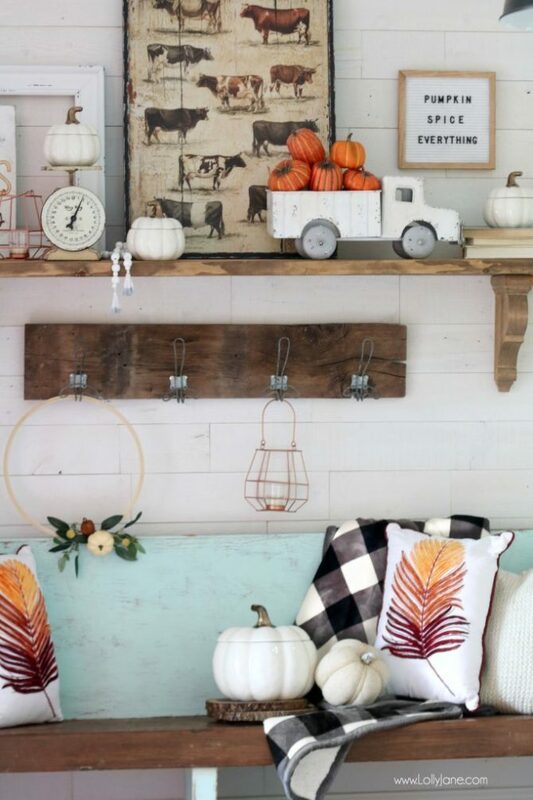 Here’s how to decorate your entryway beautifully for fall! 2. Texture texture texture! 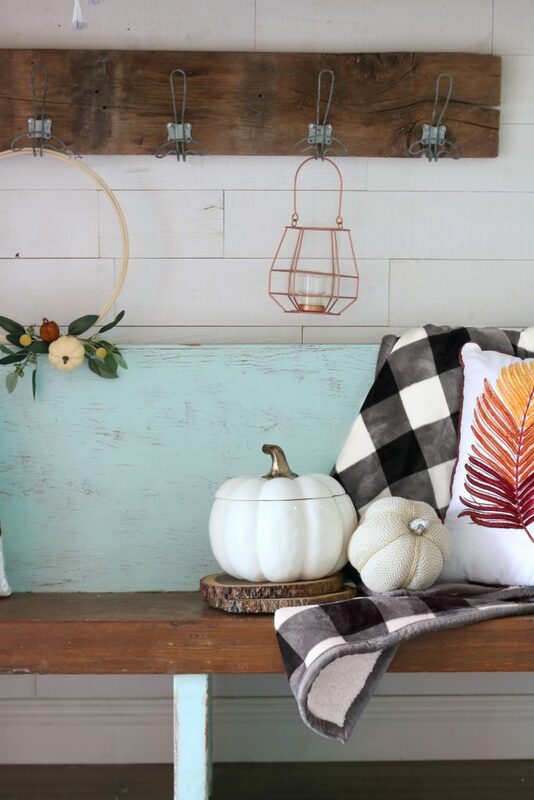 We found these Better Homes & Gardens at Walmart Wood Chargers that are of course beautiful under plates at dinnertime, but also add a ton of texture to home decor when stacked and paired with natural elements like my fabric pumpkin. 4. Pumpkins, pumpkins, and gourds? Yes, gourds. 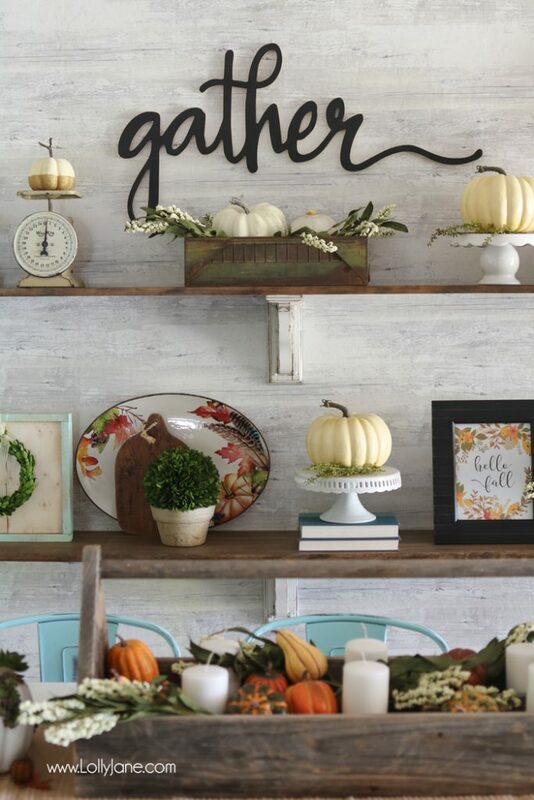 While in the craft section of Walmart, I found these pretty orange faux pumpkins and gourds that add fun pops of color among all the neutrals in this space. 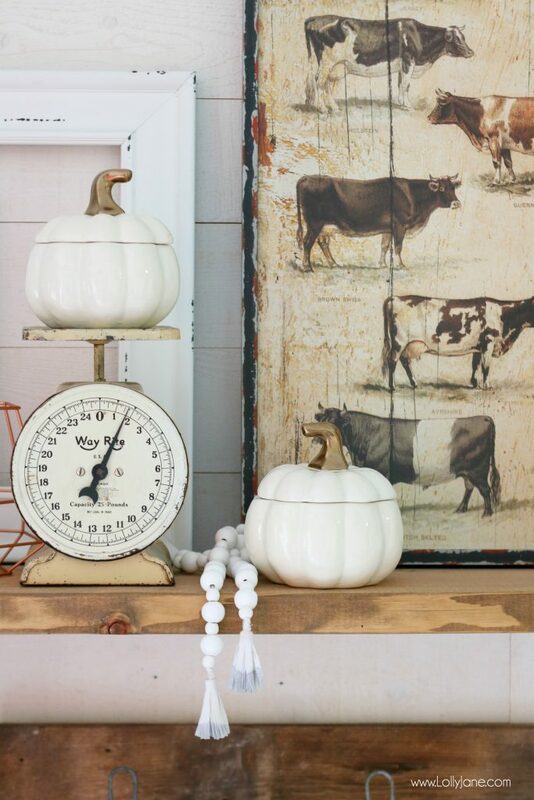 YOU CAN NEVER HAVE TOO MANY PUMPKINS, GUYS! 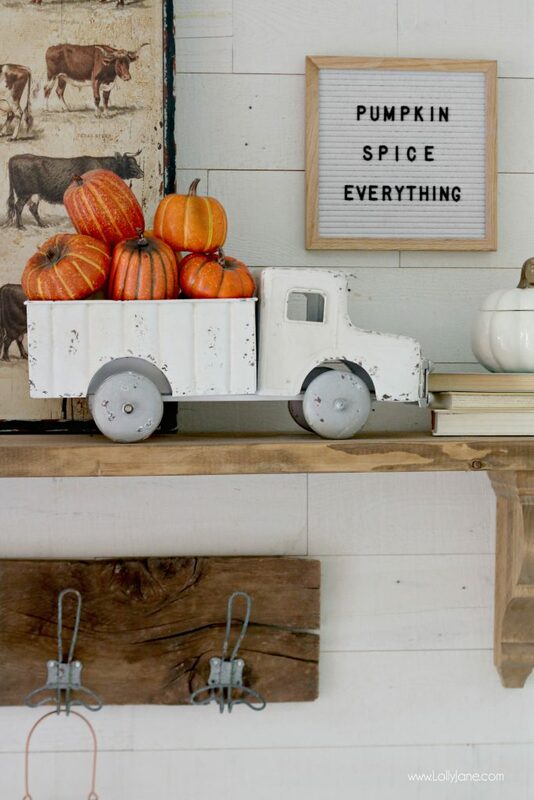 Fall = pumpkins. 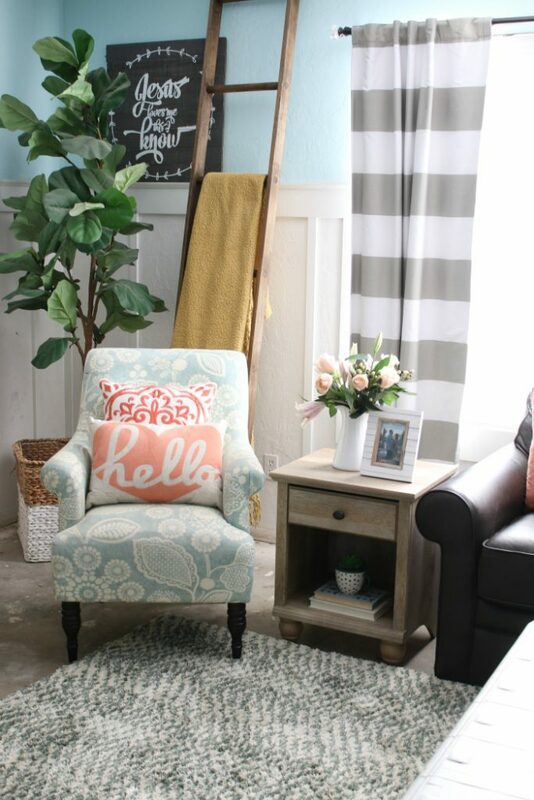 our Farmhouse Family Room Refresh! 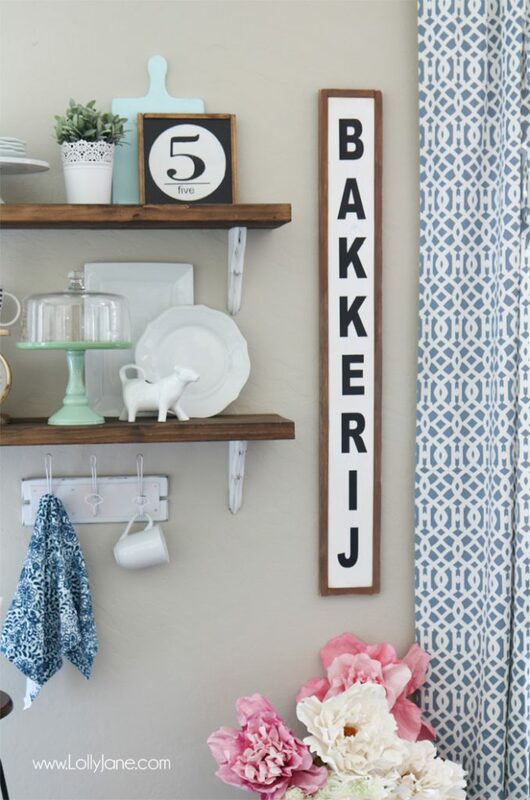 Such a great post on decorating entryway. I liked that pumpkin part very much. 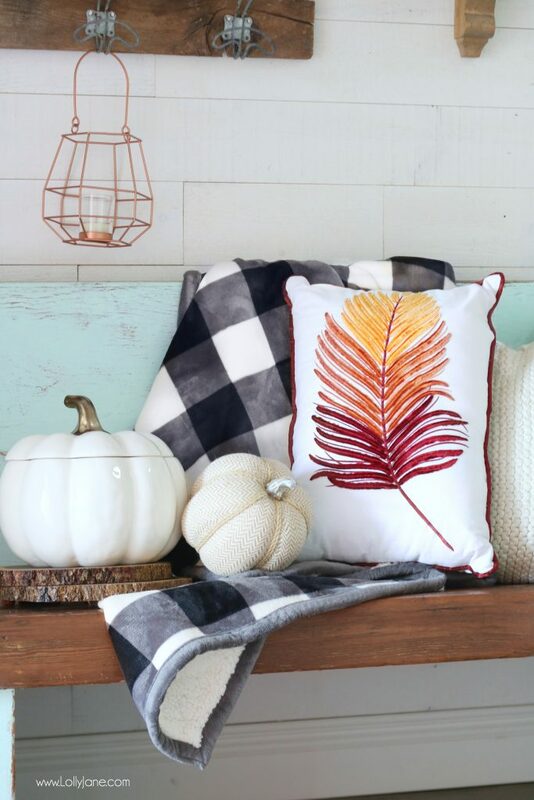 It adds the perfect Fall touch. I might have to head to Walmart! It feels so welcoming. Love it! Where is that cow picture from?? I need it. Also . I live in Nebraska but I follow u bc I’m from Tempe and I like to see Arizona peeps. ?? Thanks so much for following along! I’m sure Nebraska is beautiful in the fall, enjoy those cooler temps for us! See that throw makes me want to curl up with a good book! Lovely decorating ideas!